Does your child’s play area need to be brought up to code? Rubber Play Mulch and Rubber Mulch are the perfect products for making and resurfacing play areas, domestic and commercial. They are also an excellent alternative to all wood chip applications, since they are clean, colourful, environmentally friendly and most of all- fun. The cost-effective nature of pure, soft rubber is tough to beat. Long-lasting Terrasofta play surfaces such as their Rubber Play Mulch are safe, easy to maintain and durable. 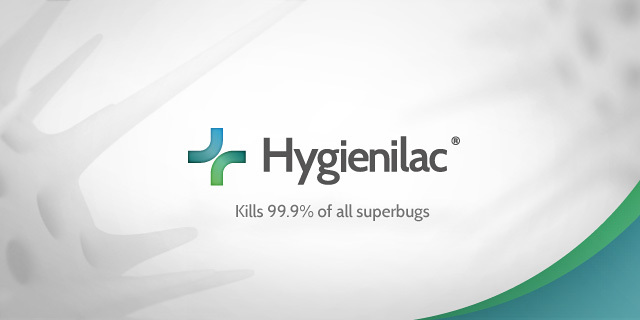 They don’t just protect kids from serious injury; the Hygienilac antibacterial coating protects children from all manner of nasty bugs that inhabit play areas. If you buy a product that needs constant 'feeding’, you’ll never stop paying for it. Rubber Play Mulch from Terrasofta does not need regular top-ups like other play surface materials. Terrasofta will not deteriorate, decompose or blow away, and is most likely the cleanest rubber loose fill available on the market today. Compared to other rubber products, Terrasofta’s Rubber Play Mulch is superior in every way as it is made from solid forklift wheels, which translate to pure soft rubber. Terrasofta makes products that are true, right down to the bottom layer. Unlike other products that hide materials under a thick layer of paint, Terrasofta’s Rubber Play Mulch is child-friendly, pet-safe, non-toxic and hygienic. Terrasofta is the only play surface to be coated with Hygienilac, which kills harmful bugs and bacteria. Made from top-quality water-based dye from hygienilac, which prevents the bacteria’s access to nutrients so they starve and die. It has a kill rate of 99.9 per cent over a 24 hr period. Trust Terrasofta for exceptional safety. Rubber Play Mulch is not only the cleanest, softest play material available, it also helps protect kids from falls up to massive 6.4 meters. Car and truck tyres are never used in Terrasofta products, and they are absolutely wire-free. TerraSofta Rubber Play Mulch meets the latest BS EN 1177:2008 standards of impact absorption. This is the latest approved safety standard which measures the impact absorption of play surfaces from a range of fall heights from 0.6 to 6.4 metres. Why not take advantage of the product that offers premium quality without the premium price? Rubber Play Mulch is easy to install and are virtually maintenance free, and best of all, is barefoot friendly! Terrasofta’s Rubber Play Mulch is available in brown rubber, grass green rubber, stone grey rubber, ocean blue rubber, plum rubber, woodland mix rubber and black rubber. Rubber Play Mulch is delivered in economical bulk or request easy to handle 20 kg bags. Terrasofta offers a 5% discount to schools, nurseries, foster carers and registered childminders, along with a 10% discount to charity organizations. Visit online at terrasofta.co.uk to see their entire line of products, including their Rubber Play Mulch, Rubber Play Mulch and Mud Buster. You can contact a specialist from Terrasofta by calling 01594 528268 or by emailing info@terrasofta.co.uk. For the cleanest, softest, safest Rubber Play Mulch available today, contact Terrasofta for more information on their products. Consider Terrasofta’s Rubber Play Mulch in the design of your next play area!